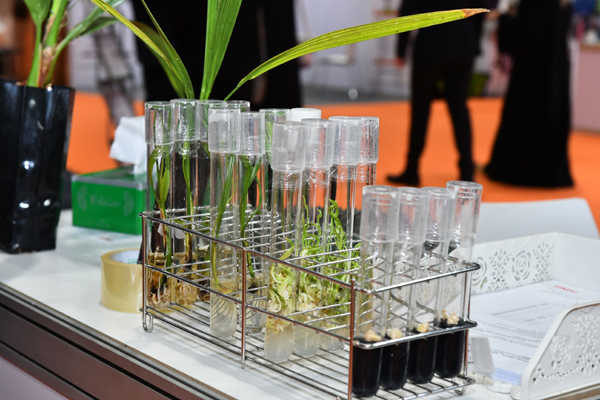 The world’s leading agriculture innovations will be showcased at the Global Forum for Innovations in Agriculture (GFIA) to be held next month in Abu Dhabi, UAE. The event will take place on April 1 and 2, at the Abu Dhabi National Exhibition Centre (Adnec). GFIA, a global authority on sustainable food production, will present leading-edge solutions that will shape the future of farming and food production in the UAE and around the world. GFIA is supported by Abu Dhabi Food Control Authority, endorsed by the Ministry of Climate Change and Environment and supported by Minister of State for Food Security, as part of the UAE’s drive to en courage the adoption of new technologies in the agricultural sector and advancement of facilitating global agribusiness trade in the nation for future food security. GFIA includes a high-profile selection of essential vertical farming innovations and solutions for the region that provide sustainable-technology for domestic food supply for food producers across the UAE and Middle East and North Africa (Mena) who are under pressure to save natural resources, improve productivity, increase the efficiency of their supply chains and be ready to meet the challenges of climate change. “Innovators from the Europe, Australia, US and the world will be showcasing new technologies and leading-edge solutions across indoor farming and hydroponics, livestock and animal production, date palm production, aqua tech, aquaponics, aquaculture, sustainable crops, and apiculture. In recognition of these global leaders of innovation in Abu Dhabi, we will hold the annual GFIA Innovation Awards which provide industry-leading recognition for businesses,” he added. HBJB Lighting, a leading firm in lighting development from Germany, will showcase their LED module specifically designed for use in the vertical farms to maximise efficiency and yield of crops within controlled environments. Netled from Finland will demonstrate its unique turnkey vertical farm solution, an advanced high-volume vertical farming solution with comprehensive automatic functions that provide a turnkey solution for high volume crop production Vera which also saves 95 per cent of fresh water. Innovations for livestock and animal production will be presented by Greengage from the UK showcasing its range of LED lights, sensors, software and data analytics to make poultry farming smarter, easier and greener. Faromatics from Spain will present ChickenBoy an autonomous, smart broiler robot farmer assistance for animal welfare and farm productivity. Aqua BioTech will showcase aqua tech developments from Malta with their VicInAqua project which is developing innovative multipurpose self-cleaning water filtration solutions to deliver sustainable water used in recirculating aquaculture systems. The GFIA Innovation Awards, which are open for applications, will recognise innovations which will improve global security for the best innovations in the categories of animal production; aquaculture, crop production, date plan production and most innovative start-up. Presented here are highlights of companies from over 100 countries who will exhibit their products and projects promoting sustainable food production to more than 8,000 visitors expected to attend the two-day conference and exhibition. GFIA is co-located with the 2nd ApiArab Expo, 2nd Arab Beekeeping International Conference, and for the first time in the UAE, the 15th Asian Apicultural Association (AAA) Conference.